UPDATE: For those of you wondering, it appears the applicants for the new Taco Bell project are also owners of the existing Taco Bell on Wheaton Way. A Taco Bell with drive-thru is planned for a vacant lot on Highway 303, south of Fairgrounds Road, according to a permit application filed with the county. The 2,000-square-foot restaurant will be built adjacent to Starbucks, Quiznos and, most interestingly, a Taco del Mar. 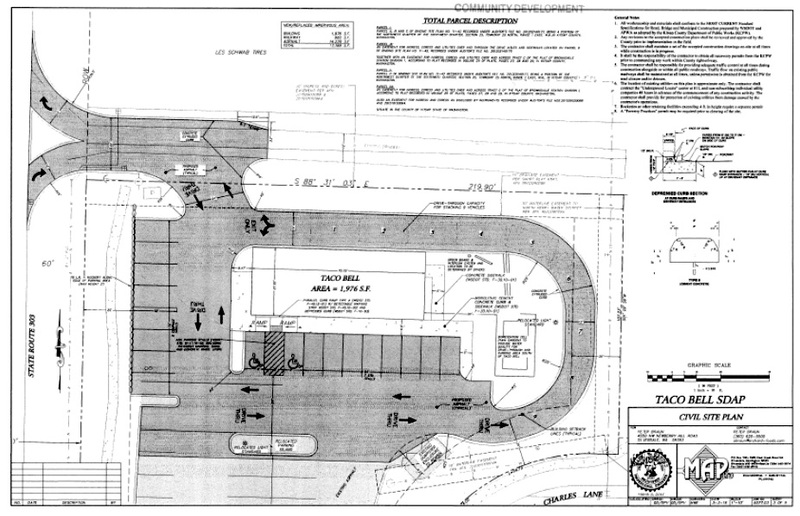 Click on the image above to see the site plan for the new Taco Bell. 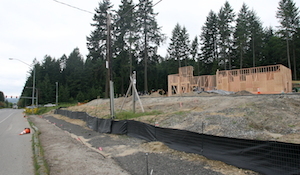 Poulsbo’s Sonic Drive-In looks tantalizingly close to opening, but fans of the fast food chain will have to wait a little longer for their burgers and dogs. Sorry, folks, it turns out that after some delays, we have had to postpone our open date. Don’t worry though, we are very close to bringing the tots, slushes, and ice cream we are known for to the wonderful people of Kitsap County. Keep an eye on your local media outlets and this page to stay up to date on when we will finally be open. It has already been a long wait for Sonic devotees. News of the restaurant’s arrival trickled out more than a year ago, but construction was pushed back by changes to the site plan. The building finally went up last spring and crews were busy at the property all summer. The Sonic is located at the northwest corner of Highway 305 and Viking Avenue. 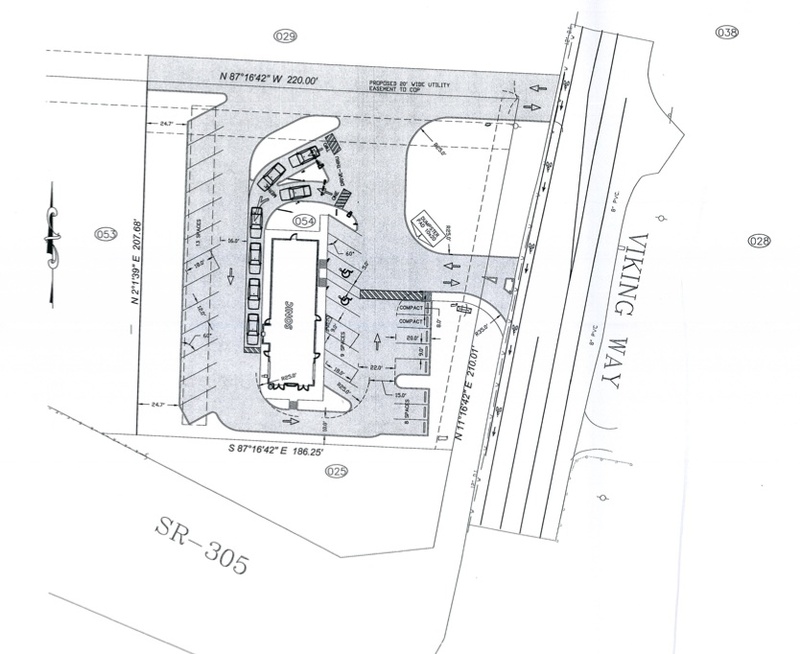 A Sonic Drive-In is one step closer to construction on Poulsbo’s Viking Way. The city received an application for a proposed 2,148-square-foot fast food restaurant with drive-thru. 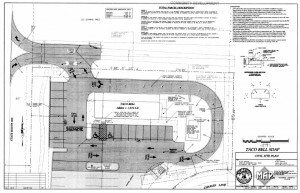 The application requests a revision to the existing site plan for the property, which had been approved for a 3,900-square-foot convenience store, gas station and fast food complex. 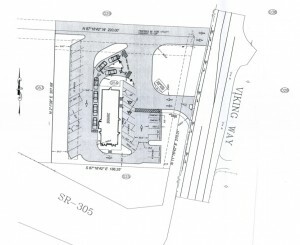 The new site plan proposal includes just a Sonic restaurant and 30 parking spots. You can click on the graphic on the right to expand. Patrons would have a few dining options. 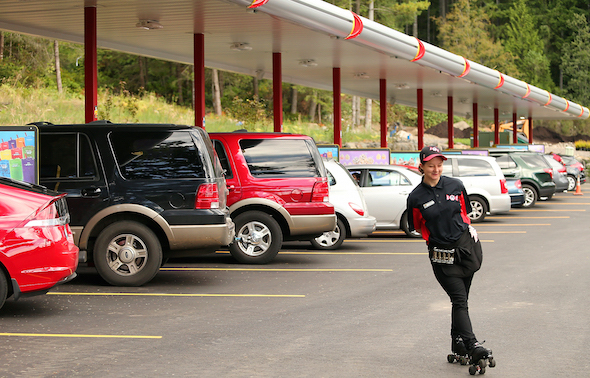 They could order from the drive-thru window or park in the lot and be served by carhops. The restaurant wouldn’t have true indoor seating, but it would have covered patio seating, with garage-style doors that could be rolled down during bad weather. JWJ Group LLC. owns the property at 21895 Viking Way and is pursuing the site plan revision. A Seattle development firm is negotiating the purchase of the land and plans to build a Sonic there. 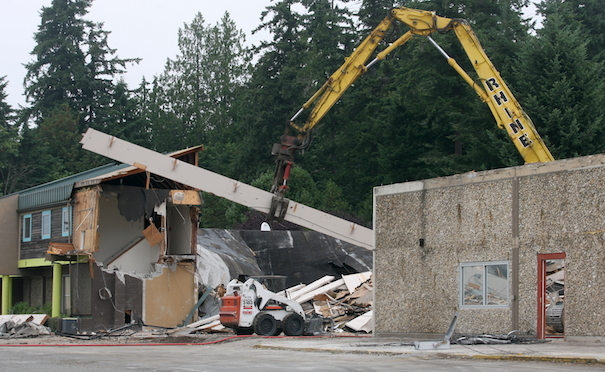 It’s one of many Sonic locations slated for the Puget Sound region.